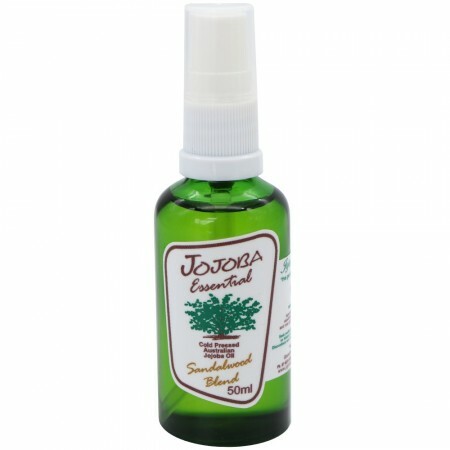 Using pure cold pressed Australian Jojoba oil as its base, this sandalwood blend was specially formulated as an aftershave lotion though some women enjoy its exotic scent as a perfumed moisturiser. The golden liquid bottled in dark green glass to preserve the integrity of the oils and to protect them from sunlight. An all-over multipurpose oil. 50ml. An Australian farming family who has been growing jojoba since 1994, had a vision to provide excellent skin care products free from artificial colours and preservatives, some made from jojoba alone and some from jojoba with the addition of carefully selected natural plant extracts. Eventually merging with Jojoba Natural, they endeavour to keep their impact on the environment to a minimum, while providing quality skin care products. Australian grown and owned, supporting the local economy. Jojoba Natural grows their plants without irrigation. Jojoba plants need little water to produce a crop and even seedlings can be established with minimal extra watering. 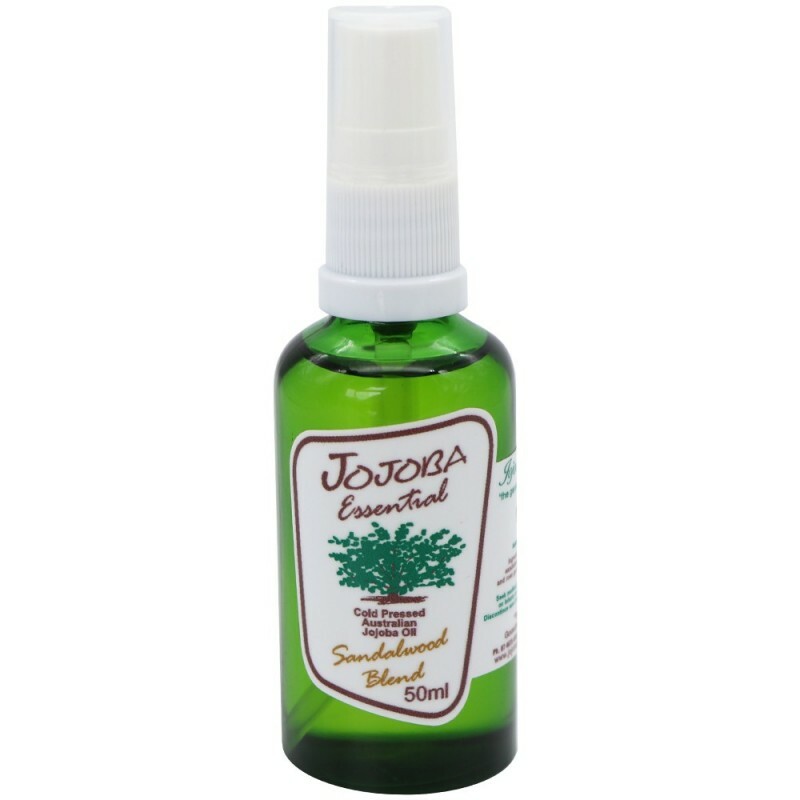 Jojoba plants have a built-in resistance to insects and this jojoba is grown without the use of insecticides. Packaged in a reusable bottle. A naturally perfumed skin moisturiser that is readily absorbed if applied sparingly. Makes for an effective bath oil. Excellent massage lotion with the advantages of a non-oily feel, allowing firm contact while leaving the skin moisturised but not greasy. Contains no fixatives or artificial preservatives. Use as a shaving aid for face or legs! Softens, soothes and moisturises even for sensitive skin. Helps promote natural healing and regeneration of skin tissue by supplementing the skin’s own natural esters which are lost as skin ages or is damaged. Cold pressed jojoba also contains mixed tocopherols (Vitamin E) and other natural antioxidants. 50ml. Pump lid and recyclable bottle. 100% Cold pressed Australian Grown Jojoba and sandalwood, lemon myrtle, rose geranium essential oil. Browse our other body oils here.